How many types of wine glasses do you actually know? Stop for a second and have a think about it, three? Four perhaps? Could you have really imagined 17? 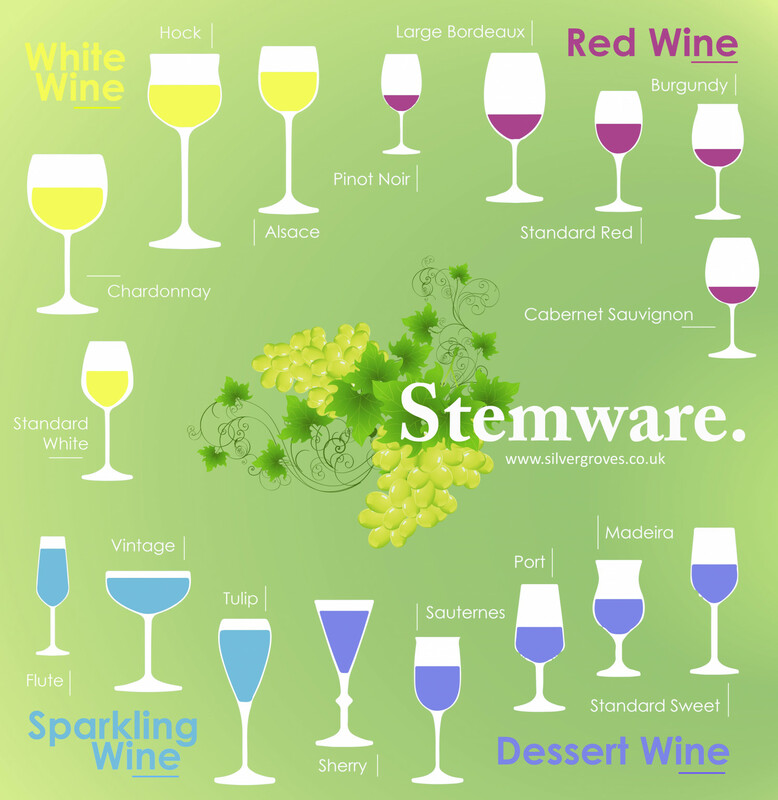 That’s exactly how many different types of wine glasses are listed on this infographic from Silver Groves. From the standard red to the vintage glass, the Alsace to the Sauternes. You’ll be surpassed to realise just how different types of wine glass there are. Everybody knows the flute or port glass, most can recall a sweet wine glass but this infographic will quickly teach you about some of the less known varieties. We’ve also got this great set of posts on pairing wine with food.